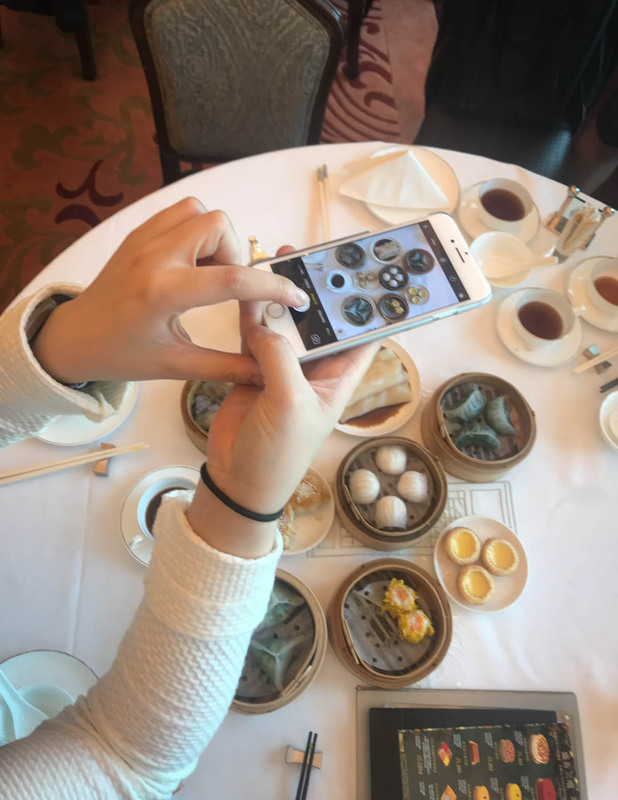 If you go to Hong Kong you just have to plan in a dim sum lunch! 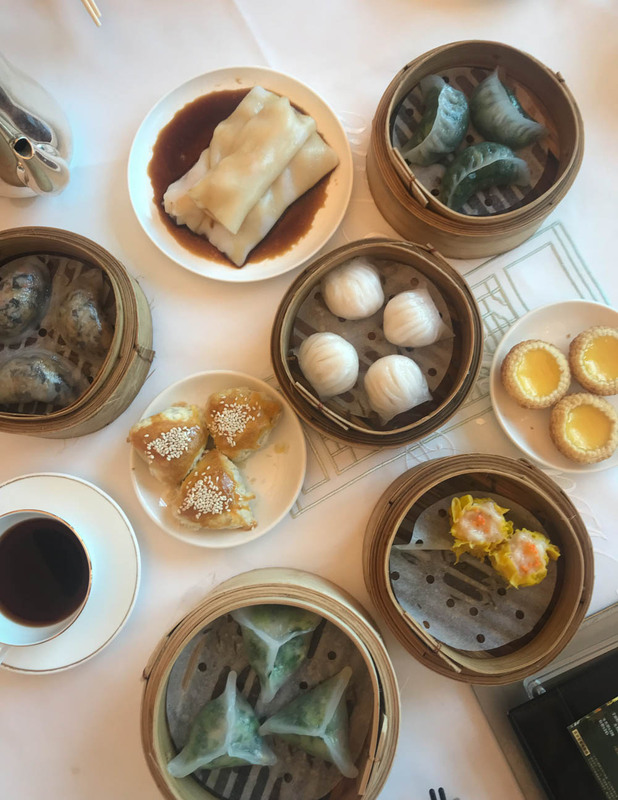 Dim sum are a Sunday lunch tradition, but you can find them for lunch in most places during the week. 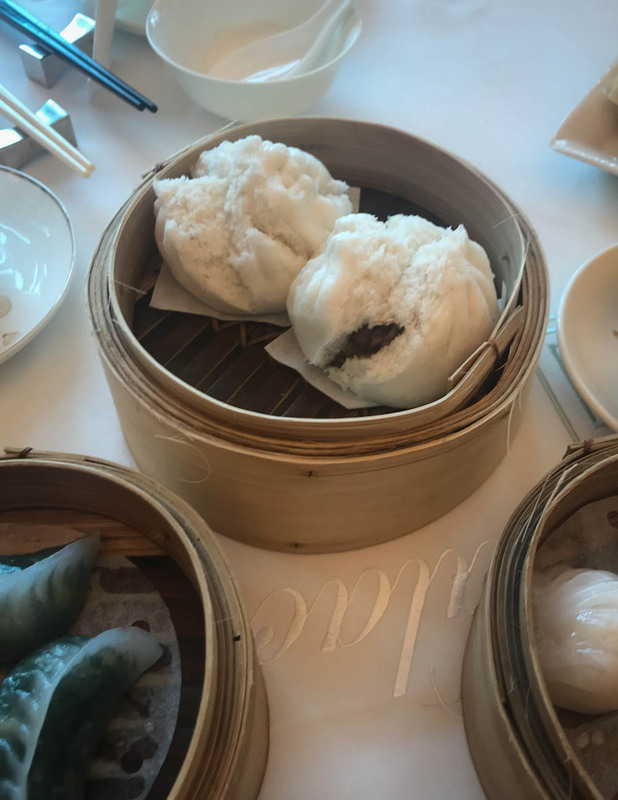 One of the best places to sample an excellent range of dim sum is Maxim’s Palace at City Hall. 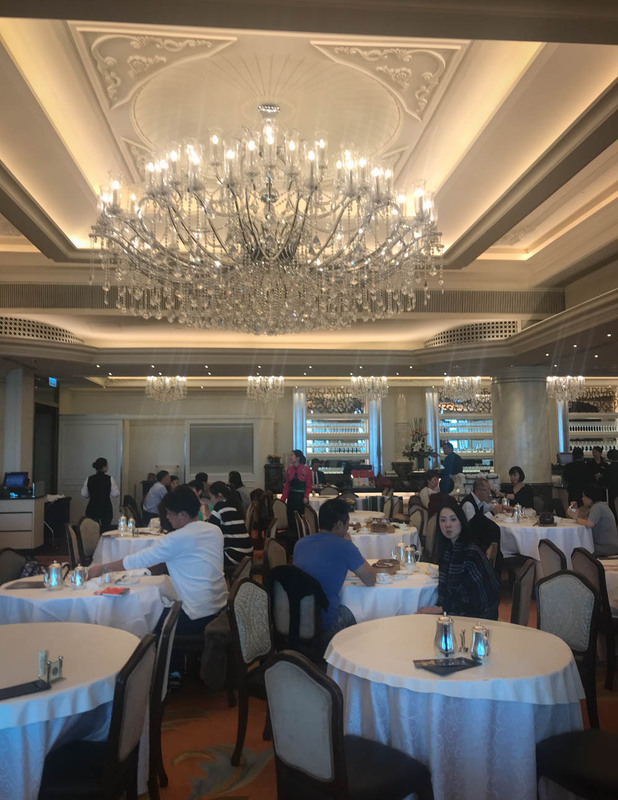 Here, people are queuing in the hallway to get a table in the grand dining room, which is decorated with lavish chandeliers and has a stunning view over Hong Kong harbour. 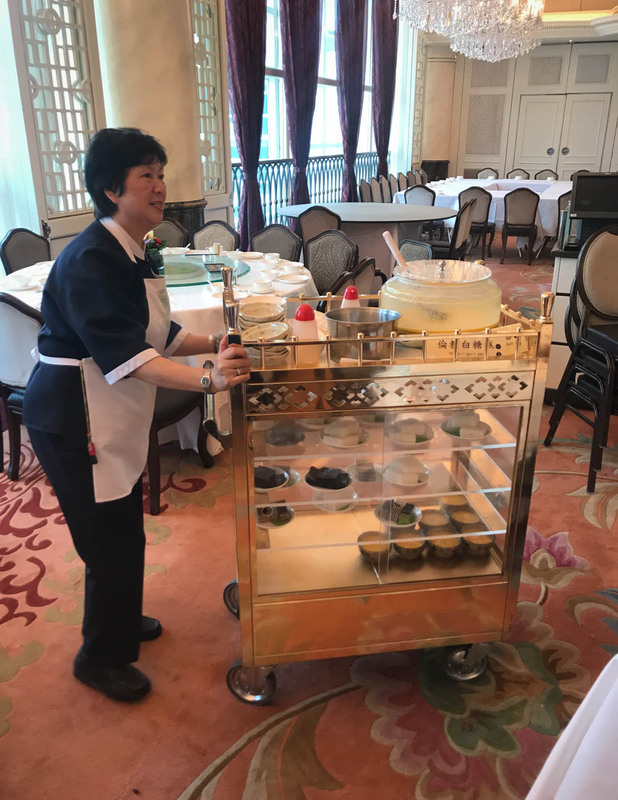 You can order dim sum from the menu, or wait for a trolley to roll past. Check on the screen for what delicacies the trolley is carrying and get a basket right away. 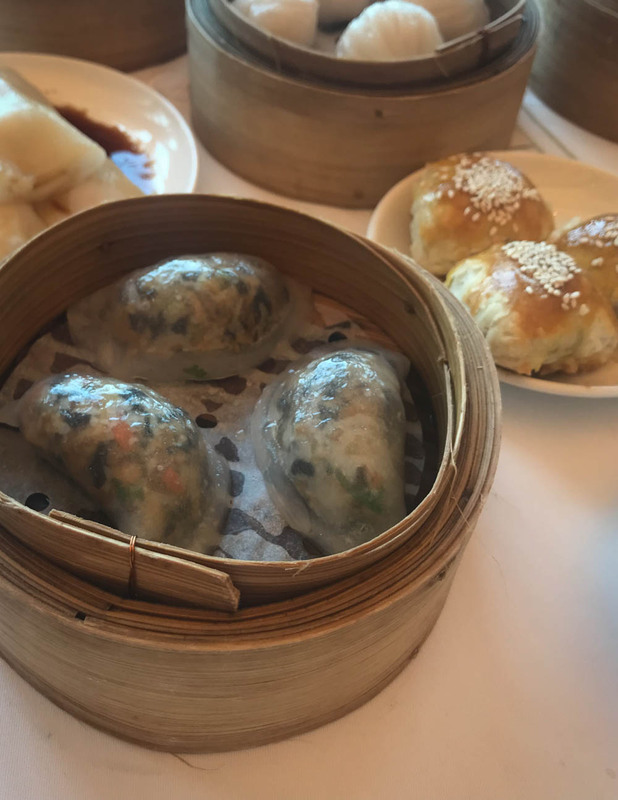 A good dim sum table needs to be filled with a variety of texture: you should order some steamed dim sum, like har gow (prawn and bamboo filling encased in a delicate translucent wrapper), as well as steamed buns (usually filled with sweet pork), pork puffs with a crumbly dough, and fried dim sum (like spring rolls, fried shrimp balls or crispy taro dumplings). I also love to order lotus-wrapped rice an cheung fun (a sort of steamed rice noodle, so delicate and delicious). I ate at Maxim’s Palace in my ‘Anne’s Asian Adventures’ Hong Kong episode. You can watch it here.